I used to be sort of trend-averse. The first time I saw skinny jeans I thought they were ’emo’ and ankle booties? Just plain, weird. Now my closet is full of skinny jeans and you can find me wearing ankle booties pretty much all fall. Funny how our style and opinions change over the years, right? 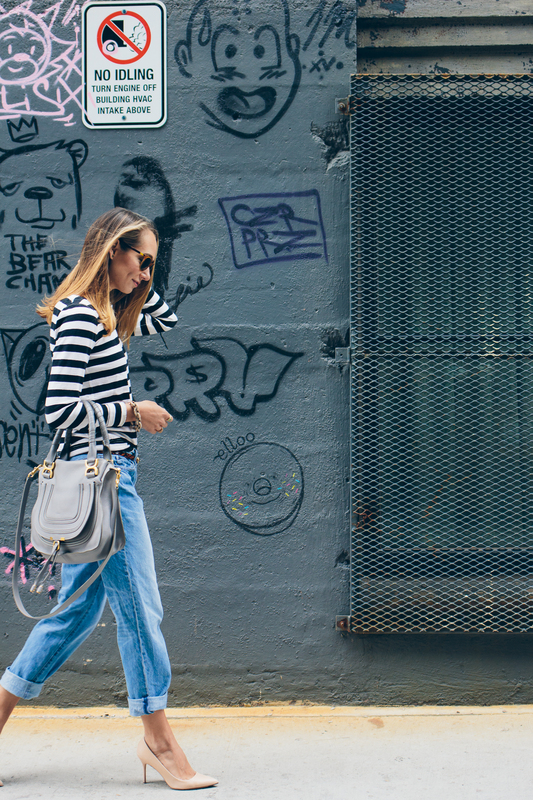 Boyfriend jeans were one of those things I wasn’t quite sure about at first. How do you feel about them? It definitely took me a while to jump on the bandwagon, but it’s probably because I had a hard time finding a pair that fit me right. These from LOFT are pretty spot on. They’re definitely wider than I thought I would like, but it turns out I like them big! Pairing them with a chic pair of heels keeps them from looking frumpy too, so I highly recommend that. 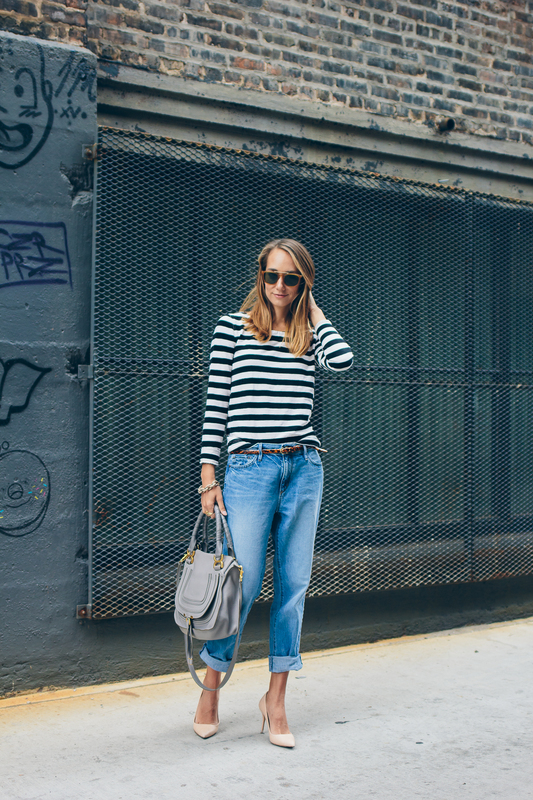 How do you feel about boyfriend jeans? How do you wear yours?